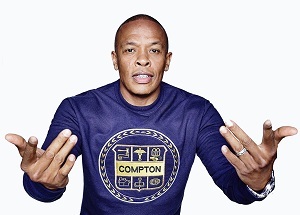 With "Straight Outta Compton" being the box office surprise of the summer and a new studio album filling America's iPhones for the first time since before iPods were invented, Dr. Dre is experiencing a late-career renaissance. While rappers' careers are notoriously shorter than almost any other group of musicians, Dr. Dre is relevant for the fourth consecutive decade. Perhaps even more surprising than his prolonged musical success is his financial success. With the 2014 sale of his iconic Beats headphone company for $3.2 billion, his share of the company vaulted him into uncharted territory: He claims to be rap music's first billionaire. Let's take time to examine Dr. Dre's personal narrative and see what lessons we might glean, because no matter who you are while you're reading this, you almost certainly started with more than he did and currently have less. We could all use a prescription from this doctor. Pursue your goals with drive and clarity. One of the themes of Dr. Dre's life is that he has followed his own vision, no matter what other people are doing. The biggest rap acts when Dr. Dre started were flashy pop-infused showmen like MC Hammer and Vanilla Ice, but he wanted to make serious music about the world he experienced. When he backed Eminem in the late 1990s, the idea of a white rapper was seen as a novelty, but Dr. Dre ignored appearances in favor of his faith in his ability to identify talent. In each case, Dr. Dre believed in himself, understood what his goals were, and did what needed to be done. What are your goals? Do you want to retire to the beach? Do you want to ditch the rat race? When you pass that billboard with the giant Powerball payout, where does your mind wander? Let us know. We have ways to help get you there. We may have expert advice because we've been there before. Don't be embarrassed if you think it's crazy: It was crazy for Dr. Dre to get a local criminal, Eazy-E, to bankroll his band, but it was still the right move. Let Destinations Credit Union be your Eazy-E (without the criminal background, of course). Step one to your goals is call or e-mail us. Be careful who you trust with your money. One person who never comes out looking well in the Dr. Dre story, whether in Straight Outta Compton, Behind the Music, or even the US legal system, is Suge Knight. The erstwhile villain of the film's second act, Knight's character uses violence and intimidation to force Dr. Dre to move on from his record deal with almost nothing. Less violent is the film's depiction of Jerry Heller, but the fictional version of N.W.A. 's manager is portrayed as similarly unscrupulous. Everyone seems ready to steal Dr. Dre's money. Even among friends, money can make enemies. The infamous early-1990s feud between Eazy-E and Dr. Dre had deep roots in questions of trust and money that poisoned the shared bond between N.W.A. 's most famous members. Who do you really trust with your money? We all have people close to us to whom we might "lend" money without ever expecting it back, but how many people would you trust to hold your next mortgage payment for a few weeks? Bonds of friendship and family often fall apart when it comes to money. As your credit union, we know you've put your faith in us to take care of your money. You already know we exist by the members and for the members rather than a board of executives or stockholders, but it's worth the reminder that our model was built to make sure you have someone you can trust. We promise to live up to that trust every day. Own something that matters to you. Dr. Dre didn't get rich working for someone else. Dr. Dre got rich making his own label, signing his own acts, then doing it all again. Without releasing an album between 1999 and 2015, he still made a fortune by owning the label that released albums by Eminem, among others. He didn't earn his mega-wealth endorsing Beats headphones; he owned a large chunk of the company. What do you own? Do you own your home? Do you own a business? Do you own a share in your success? Risk can be scary, and hanging out a shingle can be risky. But in exchange for risk, you are entitled to the fruits of your labor, and those can be fantastic. If you want to own something that matters and set goals based around your family, you can offer them a home that is safe, comfortable and inviting. You could take steps to improve the curb appeal of your house, to make your home easier to sell if you pass, add a movie room to transform those Saturday night Netflix sessions into unforgettable family experiences, or even buy a pair of Jet Skis to entice the grandkids. You can check out our fantastic home equity rates. Dr. Dre has been part of our lives for so long that we don't really think about him much. In a lot of ways, we forgot about Dre. 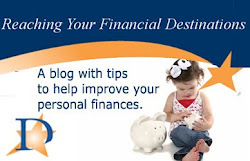 But his story is really extraordinary, and if we take a few minutes, we can probably learn some lessons from him for our personal financial health.